The expansion of the e-commerce industry has dominated news cycles as of late. However, e-commerce’s success affects industries outside of itself. In order for e-commerce to succeed, online retailers must rent or own a number of large warehouses. The industrial market has benefited greatly from the e-commerce boom. Before examining all of the benefits that e-commerce has afforded the industrial real estate market, it is important to take the time to address the e-commerce industry’s profitability. Since the industrial market’s recent success is tied closely with the performance of e-commerce businesses, understanding how the e-commerce industry is performing will provide important context behind e-commerce’s benefits to the industrial market. Before examining the how the industrial market is changing due to e-commerce, it is important to understand that e-commerce’s exponential growth has no end in sight. The benefits that the industrial market receives from e-commerce’s success will only continue to grow alongside e-commerce’s boom. In 2010, e-commerce retail sales in the United States made up only 4.2% of all retail sales. However, by the last quarter of 2017, e-commerce sales made up 9.1% of all retail sales. In other words, at the end of 2017, these e-commerce sales totaled over $115 billion. Clearly, e-commerce’s success is not a temporary phenomenon. It is projected that e-commerce’s retail growth will continue to expand through 2018. Amazon has been a major player in the success of e-commerce. In 2010, Amazon’s revenue was found to be in an excess of $34 billion, and by 2017 the e-commerce giant’s revenue grew to $178 billion. Currently, Amazon owns 43% of all e-commerce purchases, which is why the e-commerce giant’s growth has been so beneficial for the industrial market. Amazon alone accounts for nearly half of all e-commerce sales. However, other e-commerce retailers are also contributing to online sales. Walmart projected that, in 2018, its sales will grow by 40%. Walmart and Amazon’s projected growth – along with other e-commerce retailers – will require further industrial space to house their growing inventory. The success of e-commerce is directly tied to the growth of the industrial market. 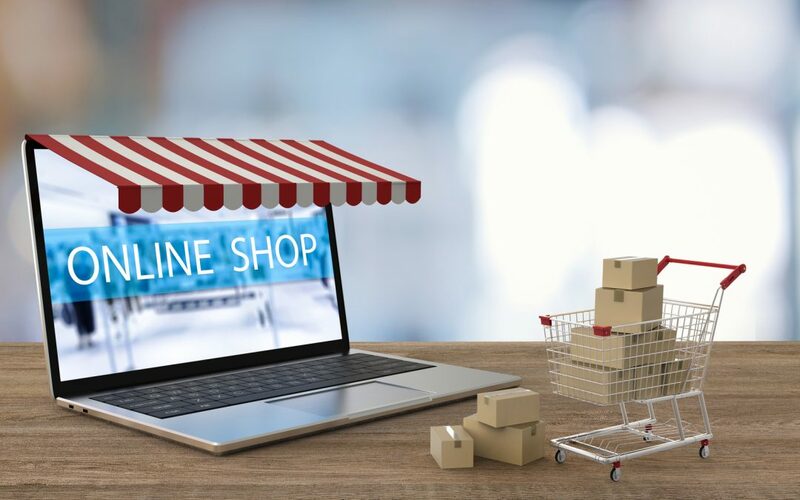 E-commerce does not require a brick and mortar store for customers to visit; however, the success of e-commerce relies on owning a large array of inventory available for consumers to purchase instantaneously. E-commerce operations, therefore, require a vast amount of industrial spaces that can store massive volumes of products. Since e-commerce grew so quickly, industrial spaces are being rented at a faster rate than the market was prepared for. At the end of 2017, industrial space vacancies were at a low of 5.1%. This places the vacancy rate of industrial spaces at a seventeen-year low in 2017. No other real estate market in the United States is facing this level of demand. The need for more industrial real estate is all due to the e-commerce business model. E-commerce’s growth is driving up the demand for industrial real estate. Currently, due to a lack of available spaces, the rent for industrial real estate has risen exponentially. Rent per square-foot is growing across the industrial market, since vacancies are low. In northern New Jersey, industrial rental rates grew to 18.5% in 2017, and in central New Jersey, rental rates grew by 10.8%. New Jersey’s high rent is also due to the fact that it is located near major urban areas: the cities of New York and Philadelphia – along with their surrounding metropolitan areas – are both very close to the state. This proximity promotes particularly high demand for industrial space in New Jersey. The national average places the cost of industrial spaces at $5.40 per square-feet, with New Jersey’s rents costing a similar price, depending on location. However, why would low vacancies and high rents be a benefit to the industrial market? Competition breeds innovation. Due to the expansion of e-commerce, nearly one-fourth of the demand for leasable spaces is due to the industrial market. Now that the success of e-commerce is clear, the industrial market will see rapid and continual construction and expansion. The e-commerce industry’s demand for more space is encouraging rapid construction in the industrial real estate market. In 2014, spending on implementing new e-commerce spaces cost approximately $5.1 billion. In 2017, over 243 million square feet of new industrial spaces were constructed. It is expected that further industrial construction will occur throughout 2018 and 2019. As new industrial spaces are constructed, the current high cost of rent is expected to drop. With fierce competition for new spaces, e-commerce giants are scrambling to obtain more industrial spaces. The industrial market’s current vacancies and high rents may appear to be a disadvantage; however, the high demand is promoting competition and development. The New Jersey industrial market stands to gain more than other regions, due to the state’s proximity to the New York and Philadelphia metropolitan areas. New Jersey’s metropolitan advantage is further supported by consumers. Urban centers house some of the largest consumers of e-commerce: millennials. Millennials accounted for nearly 30% of 2017’s per-person daily spending. Millennials are some of the biggest consumers of e-commerce businesses. E-commerce relies on these big spenders in order to promote their own growth. One of the reasons that e-commerce desires new industrial spaces near urban centers is because millennials, as a consumer population, resides within them. The industrial market benefits from millennial consumers. E-commerce is popular amongst consumers because of the efficient shipping policies that many online businesses provide: notably, Amazon’s two-day shipping for Prime members. As millennials – as well as other consumer generations – expect packages to be delivered within a matter of days, e-commerce businesses require more space in order to meet expectations. E-commerce businesses do not require as many employees as retail businesses, since many traditional retail positions do not exist in online shopping business models. However, e-commerce has promoted job growth in other sectors. From 2012 to 2017, unemployment in the industrial sector is down from 8% to approximately 4%, an estimate that is adjusted for seasonal workers. Job growth in the industrial sector is widespread. New construction requires laborers and contractors. Industrial warehouses need staff and logistics teams in order to operate efficiently. The real estate market employs a number of agents and property owners. E-commerce is supporting employment within its sector as well as outside of it: many professionals on the periphery of online shopping are benefiting from the e-commerce boom. The technology and coordination required to increase industrial real estate construction have been developing rapidly. It is projected that by the end of this decade, e-commerce support services and industrial implementation will lead to a spending of nearly $10 billion. As more real estate transactions occur online, the industrial market has seen growing development of online platforms. It is estimated that by 2021, business-to-business technical platforms designed for the industrial market will make $2.4 billion. E-commerce is not only promoting the growth of industrial real estate, but also it is encouraging innovation in online platform development. Support services for e-commerce businesses are also a trend that is encouraging growth in the industrial market. The industrial market will profit off of e-commerce’s growing success through developing new technologies. E-commerce promotes asset growth in the industrial real estate market. Since e-commerce requires more industrial spaces in order to achieve its own growth, the industrial market has seen large asset gains over the past several years. In 2017, industrial market assets reached more than $72 billion. Additionally, compared to 2016, industrial asset transactions grew by 20%. The industrial market is the only major property type that has seen year-over-year consistent growth. Not only are industrial assets growing due to the e-commerce industry, but also new industrial spaces – built due to e-commerce’s need for additional space – are promoting growth in the market. The industrial market is innovating new technology in order to better service it’s e-commerce clients. The e-commerce boom has no end in sight. As e-commerce giants such as Amazon and Walmart continue to dominate online sales, the industrial real estate market will benefit vastly. Currently, industrial real estate vacancies are at all-time low, which – in turn – is increasing industrial rent prices; however, as new industrial construction continues throughout 2018, rent costs are expected to settle within the next few years. E-commerce has also encouraged employment opportunities within the industrial market, as well as within industries that exist on the industrial market’s periphery (e.g. construction, web development, and logistics). The millennial generation is a key factor in e-commerce’s expansive growth, and their consuming habits will aid the industrial market’s growth in turn. In order to better supply and assist the e-commerce sector with viable space, industrial business-to-business technology is developing very quickly. Ultimately, the industrial market’s assets are growing at an unprecedented rate. E-commerce’s success will positively impact the industrial market for the foreseeable future.